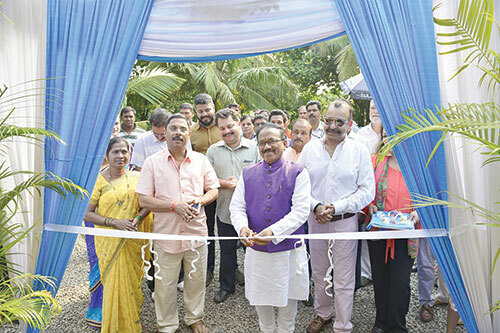 PANJIM: Goa Tourism Development Corporation ) on Saturday re-launched its Boutique Heritage Hotel at Tiracol to offer tourists a perfect getaway to history, nature and heritage. Inaugurated by Chief Minister Laxmikant Parsekar, in the presence of Tourism Minister Dilip Parulekar and others early Saturday morning, the seven newly-touched up rooms and suites tastefully designed with unique Portuguese and contemporary interiors are named after the seven days of the week. While two suites are named as Friday and Sunday, the five deluxe double rooms are called Monday, Tuesday, Wednesday, Thursday and Saturday. “GTDC has achieved many milestones in the last couple of months. It is endeavouring to provide tourists best amenities and facilities in Goa,” Parsekar told media persons. He disclosed that GTDC’s future projects will be to upgrade the existing infrastructure linking to nature’s beauty. “The Tiracol Fort Heritage hotel is one such project,” he added. The interiors are Portuguese contemporary light with all modern amenities even as the authorities have ensured to maintain the sanctity of the heritage structure. Tourism Minister Dilip Parulekar said the fort’s facelift will make this property an attractive site for tourists. “Heritage and hospitality are now two sides of a coin here at Fort Tiracol and we are confident that tourists will come here and enjoy the ambience and luxury comforts,” he said. This GTDC property has been developed by Sanya Resorts and Hospitality Pvt Ltd. The fort was originally built by Khem Sawant Bhonsle, the Raja of Sawantwadi, in the 17th century. It later became an important part of Portuguese maritime defences; being extensively revamped in 1764. The structure remained in Portuguese control till December 1961 when the last of Portuguese territorial positions in the subcontinent were liberated by India. Fort Tiracol was a symbolic location where freedom fighters from Goa demonstrated from time to time. On August 15, 1954, satyagrahis protesting Portuguese rule entered Goa from three different directions – one of which was from the North at Fort Tiracol, which was occupied and Indian flag was flown for a day before the satyagrahis were captured and imprisoned.